Hope exists for survivors and offenders. Professional lay people, members of Episcopal Conferences and Religious met to discuss the future of safeguarding within the Catholic Church, with the central premise of re-affirming the victims-first approach. 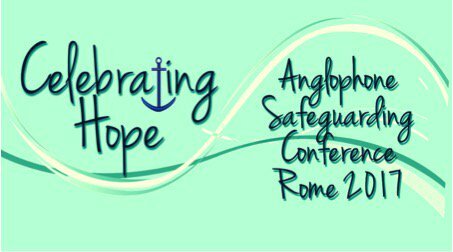 This year’s Anglophone Safeguarding Conference was jointly organised by the Scottish Catholic Safeguarding Service, the Safeguarding Commission of Malta and the Centre for Child Protection (CCP) of the Pontifical Gregorian University in Rome from 19-22 June. The 2017 theme, Celebrating Hope, was explored from different perspectives. In a powerful keynote presentation, the 111 delegates at the Conference listened to the experience of five survivors of intrafamilial abuse which allowed them to reflect on best practice in responding to abuse disclosures. At the Conference, that reaffirmed the importance of a victims-first approach, Fr David Songy OFM Cap, President of St Luke’s Institute (Maryland, USA) explored the question, “Is there hope for offenders within the Church?”, and detailed the options for risk assessment and treatment for offenders. In order to minimise re-offending and to fulfill its pastoral care duties the Church needs to offer hope to offenders, even though this does not mean a return to ministry. Mgr Charles J. Scicluna, Archbishop of Malta, addressed the delegates’ questions regarding the diocesan safeguarding role. “The Church needs to keep progressing beyond an amateur approach in safeguarding and take advice from experts in the field”, he said. The former Promoter of Justice at the CDF insisted the Church should not adopt a “one size fits all method” when it comes to safeguarding. Archbishop Luis Ladaria SJ, Secretary of the CDF, reflected on the theological “settings of hope” within the context of abuse. Prof Karlijn Demasure, executive director of the CCP, and Dr Katharina Fuchs (CCP) highlighted the need to cope with secondary victimisation, i.e. families and communities who are harmed and hurt because of abuse that happened in their midst. When addressing the pastoral response to abuse, Br Brendan Geary, the Provincial of the Marist Brothers of West-Central Europe, noted the priority is meeting the needs of the victims. However, to be able to do so, it is necessary to give attention also to the carers: those who work in safeguarding. The Annual Safeguarding Conference of safeguarding professionals aims at increasing the opportunity for sharing and networking. The objective of the event is to improve safeguarding practices throughout the Catholic Church. The Scottish Catholic Safeguarding Service is an agency of the Episcopal Conference of Scotland. Tina Campbell, as the National Safeguarding Coordinator, is responsible for the development of safeguarding policies and training resources. She offers support and advice in relation to survivors of abuse and the management of offenders. The Safeguarding Commission of Malta is an entity founded by the Archdiocese of Malta, the Diocese of Gozo and the Conference of Religious Major Superiors. The Commission works to develop a culture where children and vulnerable adults are at the centre of the Church’s pastoral work. It does this by completing risk assessments when an allegation is made and by promoting the prevention of all types of abuse through increased awareness and positive action. The Centre for Child Protection (CCP) of the Institute of Psychology of the Pontifical Gregorian University is part of a global initiative of the Catholic Church for the prevention of sexual abuse of minors. It offers training programme for the prevention of sexual abuse.